I’ve wanted to post about makeup for a very, very long time. 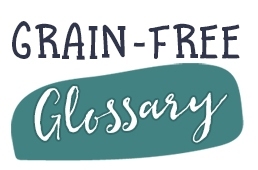 Several years ago, when I was working with a functional medicine doc to get to the bottom of my symptoms, deal with autoimmunity, etc., I learned I was not only allergic to wheat, but also very sensitive to chemicals. I had already begun to make my own natural cleaning products (See Clean Freak Goes Natural), but “Supadoc” suggested that I get allergens out of my makeup and hair products as well and do my best to clean up my act (so to speak). 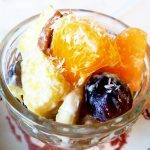 Though I had already plunged into the “crunchy granola” crowd (no offense crunchies – I’m a card-carrying member now), being a no-makeup crunchy gal was just not my personal style. Life without eye-liner? No can do. 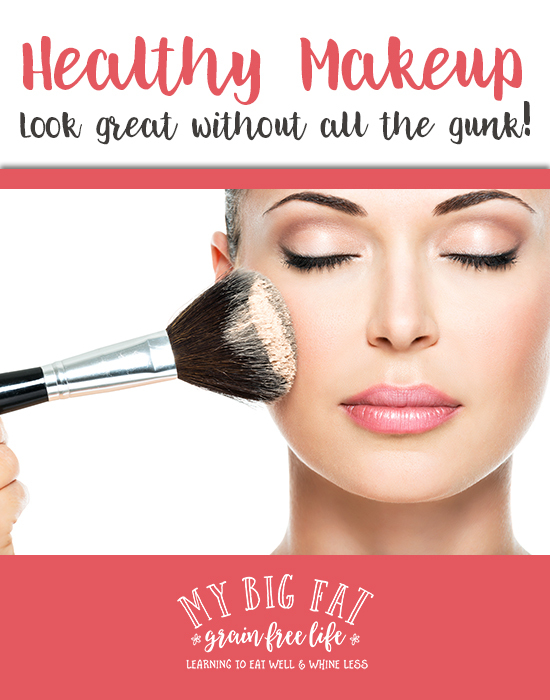 It took a lot of research as well as trial-and-error to find makeup that I am able to use and enjoy. 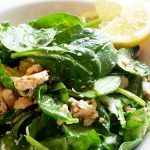 It seems once I started doing the AIP diet and took the next step to remove allergens from my makeup, skin, and hair products, my body let me know when I came into contact with something that was a trigger. Keep in mind, that some people (like yours truly) are really sensitive, even to the natural stuff. I remember trying some light brown eyeshadow that made my eyelids so itchy I could hardly stand it. It turns out I could handle a different color by the same brand. It would seem the pigments in the light brown were an allergen for me. I’ve had reactions to organic, non-toxic lip gloss containing sunflower seed oil as well. I’m happy to say I’ve found some products that I not only feel good about using because of safety, but also because they look and feel good on my skin. On a side note – I am not an affiliate with these companies, though I’ve put affiliate links to a few items that can be purchased through Amazon. None of these companies asked me to review their products. This post is simply a collection of makeup items that I’ve found to work for me. I do not exclusively use one makeup line, but enjoy items from different companies that serve my own color palette and preferences. 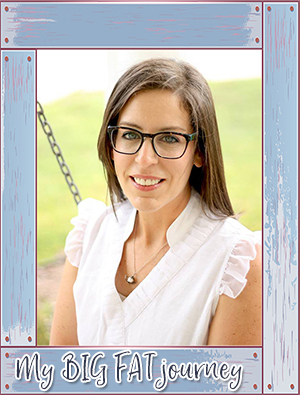 I first came across PUREhaven ESSENTIALS through a newsletter from Dr. Veronique Desaulniers a/k/a the Breast Cancer Conqueror. Dr. Desaulniers, commonly referred to as “Dr. V”, conquered breast cancer with a completely natural approach. Her book “Heal Breast Cancer Naturally: 7 Essential Steps to Beating Cancer Naturally” is a number one best seller on Amazon in 6 different categories. 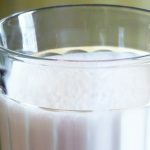 Having had my own breast cancer diagnosis two years ago (you can read My Untitled Story and Cancer Part Deux), and trusting Dr. V’s recommendations for PUREhaven ESSENTIALS, I decided to look into their products. PUREhaven has their own certified organic facility and takes non-toxicity very seriously. Besides internal testing on products for safety and performance, they also have their products tested through a third party for safety and integrity. You can read more about their standards on their Product Excellence page. 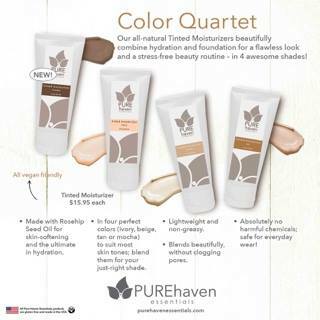 As a daily foundation, I use the PUREhaven ESSENTIALS’ Tinted Moisturizer. It’s creamy and goes on smooth without being heavy. I’ve applied it with clean fingers and also with a damp foundation brush. I find the coverage to be perfect – not too heavy, but not too light either. 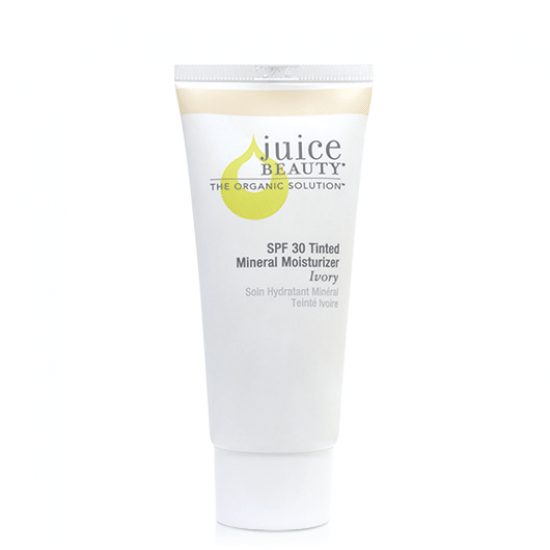 The tinted moisturizer is only $15.95 for a two-ounce container, which I think is a great price, especially for this quality. PUREhaven also carries mascara, eye liner, tinted lip balm, lip gloss (seed oils got me but the colors are beautiful), cheeky bronzer, and cheeky color sticks. I’d LOVE to see them add to their makeup line in the future (and include lip glosses without sunflower seed oil). PROS: PUREhaven is a great company with extremely high safety standards. They use no nanoparticles and have their own certified organic facility. They use in-house and third party testing to ensure consistency and safety. The consistency and coverage are perfect in my opinion. 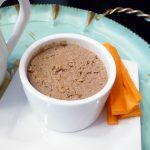 Very creamy, almost mousse-like, without being heavy. Very competitively priced at only $15.95 for 2 ounces. CONS: Limited color options. I use beige and the color works great for me, but with so many variations in skin tones, and undertones out there, it would behoove them to offer more foundation colors. Of course, if you’re willing to try, you could mix two colors to find your preferred shade. Here are two other brands of foundation that I’ve tried and would use without hesitation with regard to safety. Their products are 100% natural and “mostly organic”. Their website says that they “strive to use non-GMO ingredients in everything.” They are also “Certified Paleo” and none of their products contain harmful nanoparticles. You can buy sample sizes of their products to test out colors and consistency which is a real plus AND they have a LOT of color choices (which is sometimes lacking in natural makeup lines). I loved their 7 in 1 Coconut Cream Foundation, but found it a little pricey at $42. It was so creamy and went on like a dream without being heavy in the least. I also really liked their Organic Arrowroot and Natural Clay Finishing Powder, which is very reasonably priced at $20. In fact, when I’m finished with the powder I currently use, I plan to switch to the Araza. PROS: Araza is another good company that is committed to NO nanoparticles. They use “mostly organic” ingredients and Araza “strives to use non-GMO”. 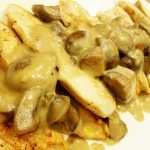 Consistency was very creamy without being heavy or greasy in any way. 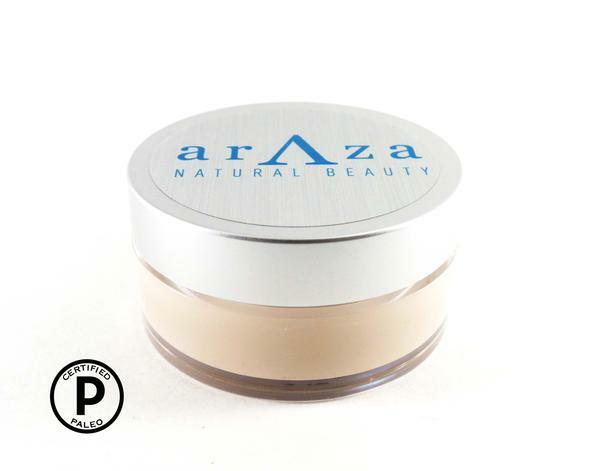 Araza offers a plethora of color options and also sample sizes so you can be sure to get the perfect color match for your skin. CONS: A little on the pricey side at $42 for 2 ounces. I do have to admit, though, that I’ve paid even more for department store makeup which is full of toxins. I have a bottle of the Juice Beauty BB Cream and I think it is worth mentioning. However, it would be third on my list. The BB Cream is a fair price at $29 for a 2 oz. bottle, but the color tended to be a little on the pink side for my complexion. I do use it as my “backup”, but the consistency has more of a tinted lotion feel, instead of the creamier feel of the PUREhaven and Araza. Juice Beauty can be found at Ulta stores nationwide, which makes finding it easy. They have very air-tight standards regarding using certified organic ingredients, and avoiding harmful ingredients that many “natural” companies still continue to use. 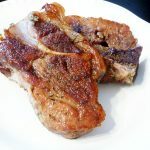 You can read more about their ingredients and safety standards here. PROS: Juice Beauty is sold at Ulta which makes it easy to find locally. They are known for having high standards of non-toxicity. No nanoparticles are used. Reasonably priced at $29 for 2 oz. CONS: I do not prefer the lotion-like consistency of this BB cream. It might be nice to use when you’re on the go or if you’re one of those people who wears makeup at the gym (I’m too old to care). The color choices are limited and I found the undertone to be a bit too pink for my skin. 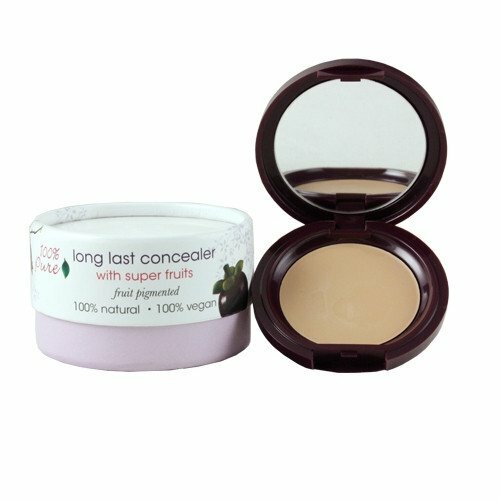 After trying other concealers on the market, my favorite is the Long Last Concealer from 100% Pure. It’s a bit pricey at $25, but a little goes a long way. This little compact lasts me a very long time. I can’t say I’ve charted it, but if I had to guess I’d say I go through about one every 10-12 months. What I like about the Long Last Concealer is that it goes on creamy (not chalky) and doesn’t crease in my…ahem…under-eye wrinkles. (GASP! I said the “w” word!) It also lives up to it’s name and doesn’t wear off by the end of the day. Most of the ingredients from 100% Pure are certified organic. Their website states “Never any artificial fragrances, synthetic chemicals, toxic preservatives, or any other unsafe ingredients. Made with the highest quality, organic nutrients for your skin.” See their full makeup line at 100% Pure. PROS: Very clean ingredients, great color options, goes on creamy and smooth without being chalky or creasing, long-lasting both in wear and in how far the product will stretch before you have to buy another one. 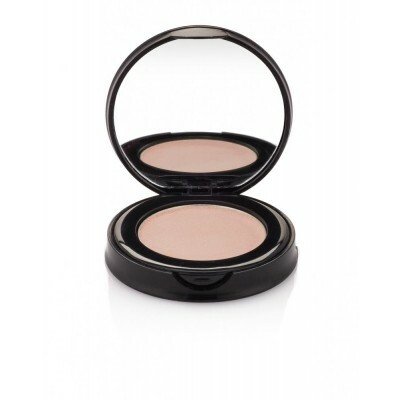 I’ve been using Juice Beauty’s PHYTO-PIGMENTS Flawless Finishing Powder for quite awhile. 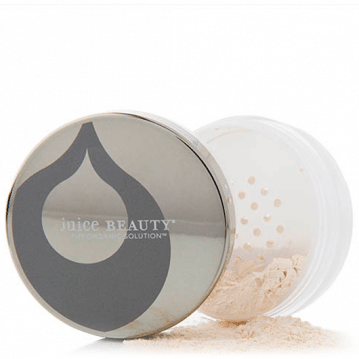 I’ve already discussed the high standards that Juice Beauty has for it’s products, so I feel safe using this powder. It’s colorless and can be used with any complexion for a more finished look. I dab a kabuki brush into the sifting area of the container and then swirl it on the lid. Then I apply in a sweeping motion on my face. PROS: Juice Beauty is sold at Ulta which makes it easy to find locally. They are known for having high standards of non-toxicity. No nanoparticles are used. Reasonably priced at $26. I’ve already spoken about Araza Beauty’s safety standards above. I bought a sample of this finishing powder and really liked it. 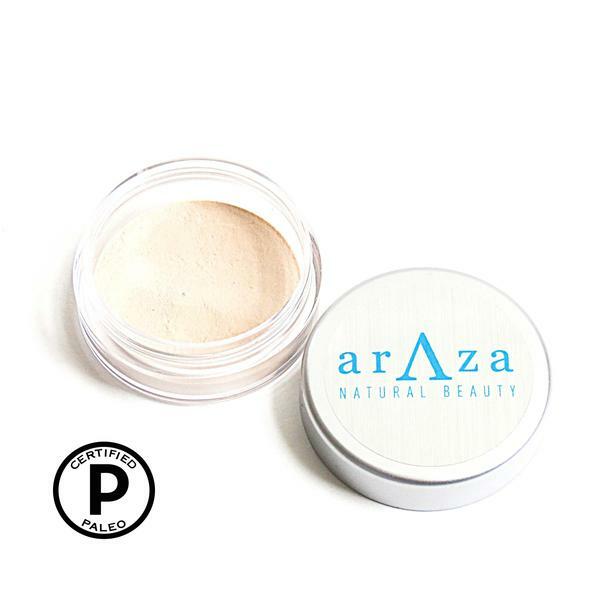 Although I’ve been very happy with the Juice Beauty powder mentioned above, I plan to get a full size of the Araza Beauty Organic Arrowroot and Natural Clay Finishing Powder since I liked the sample so much and would prefer to use arrowroot instead of rice powder as a personal preference. I can also get a little oily later in the day and wonder if the natural clay in Araza’s powder would help absorb excess oil. It’s reasonably priced at only $20. PROS: Araza is another good company that is committed to NO nanoparticles. They use “mostly organic” ingredients and Araza “strives to use non-GMO”. Goes on nicely with a kabuki brush. 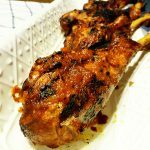 Araza offers a sample size to be sure you are happy with their product before ordering a full size. Very reasonably priced at $20. 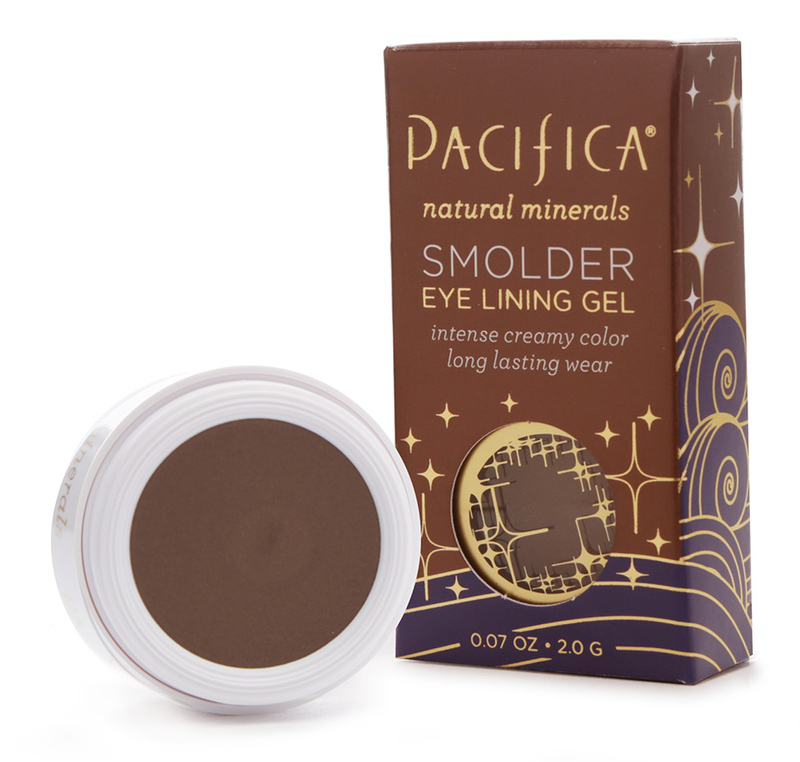 My gel eye-liner of choice is Pacifica Smolder Eye-Lining Gel in Tahitian Pearl (a dark pearlized brown). This wonderful eye-liner also comes in Midnight, which is a deep navy. Rejuva Minerals is the company I use for eye shadow. They are fragrance-free and made with certified organic fruits and botanicals. 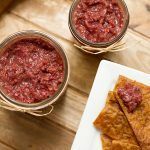 Rejuva boasts that they meet with “EWG’s strictest criteria for transparency and health.” Their products contain no nanoparticles and are also non-GMO. You cannot beat the price at only $13.95. PROS: High standards for non-toxicity, mostly certified organic ingredients, BPA and phthalate-free packaging, great price at only $13.95. CONS: Pretty decent color selection, but would be nice if they offered more. 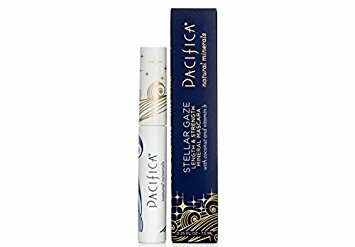 I’ve been using Pacifica Stellar Gaze Mineral Mascara in Stardust (brown) for quite some time. I’ve been happy with it, but plan to try a mascara from PUREhaven ESSENTIALS as I personally think their safety standards and commitment to organic ingredients are higher. PROS: Easy to find as my local Target and Whole Foods carries the Pacifica products. Goes on and stays on without clumping or getting “crumby”. Just a little pricey at $20, but comparable to other brands. CONS: I don’t love all of the ingredients, and think I could do better with PUREhaven ESSENTIALS jet black mascara. Lips have been a little challenging for me to cover because I’m allergic to safflower and sunflower seed oils (even organic ones). It isn’t uncommon for seed oils find their way into lip gloss and lipstick. Another difficulty is sometimes non-toxic brands have fewer color choices and, well… I’m picky. I sampled Araza’s Coconut Lip Gloss in sweet pea, and love the consistency! 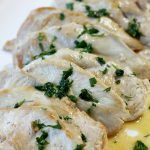 It’s creamy and shiny without being tacky or sticky. I plan to try the raspberry glaze color next. The sweet pea was a little light for me, but I’ve seen it on others and thought it was beautiful. PROS: There are many colors from which to choose, the consistency is perfect – shiny and soft without being tacky or sticky. Reasonably priced at $20. CONS: This gloss contains castor seed oil as an ingredient. I do not react to this, which is wonderful, but if you are highly sensitive to seed oils, I would avoid. I’ve already spoken about 100% Pure’s safety standards. I like this lip butter and seem to do well with it, but it does contain seed oils which could be a problem for those with seed allergies. PROS: Creamy and soft, lighter than a lip balm. Lasts a long time. Reasonably priced at $15. CONS: Only four color options. You have to apply with your finger which I find inconvenient sometimes (if I don’t have a tissue handy). Contains seed oils which can be problematic for some.